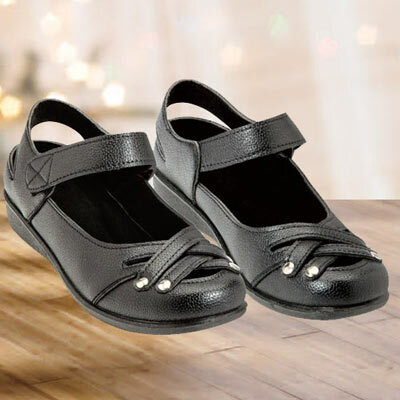 Slip into comfort and style with these smart, easy-wear Ebony Woven Mary Janes. Rich, ebony faux leather features toe straps in attractive open-weave design accented with chic silver-tone rivets and velcro ankle straps. 1" heel.